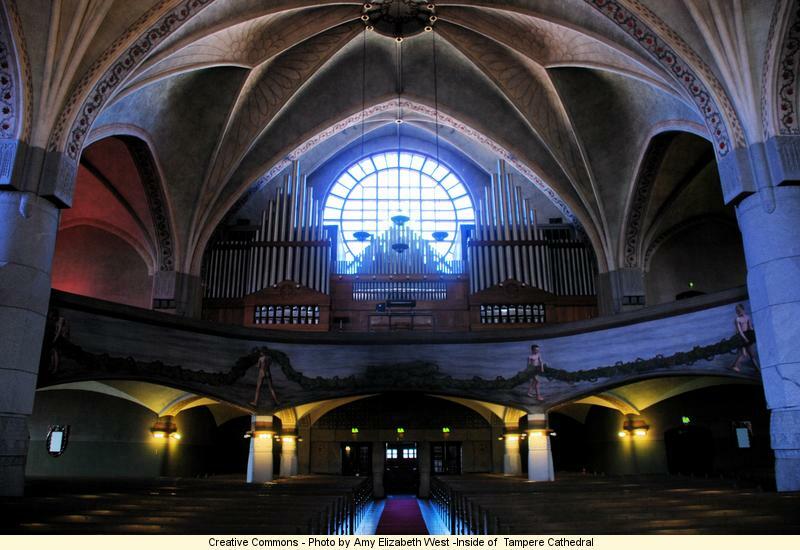 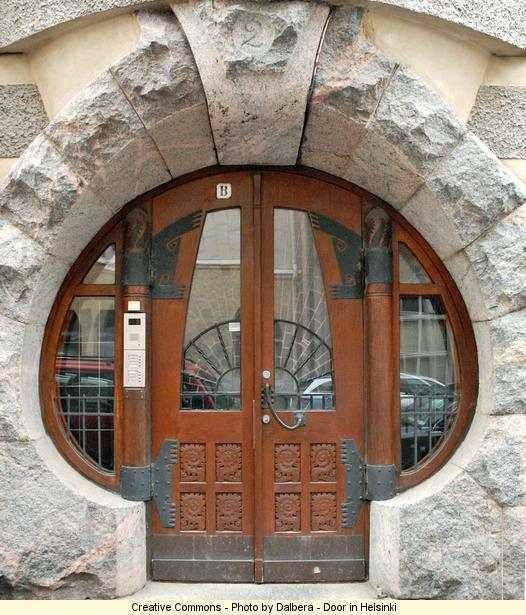 There style was largely influenced by the English Arts & Crafts movement. 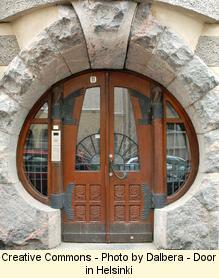 This wonderful Art Nouveau door reminds of course the work of Olbrich in Darmstadt. 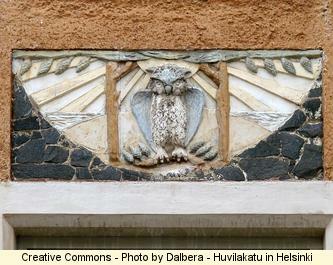 The owl is the most represented pattern in Finnish Art Nouveau. 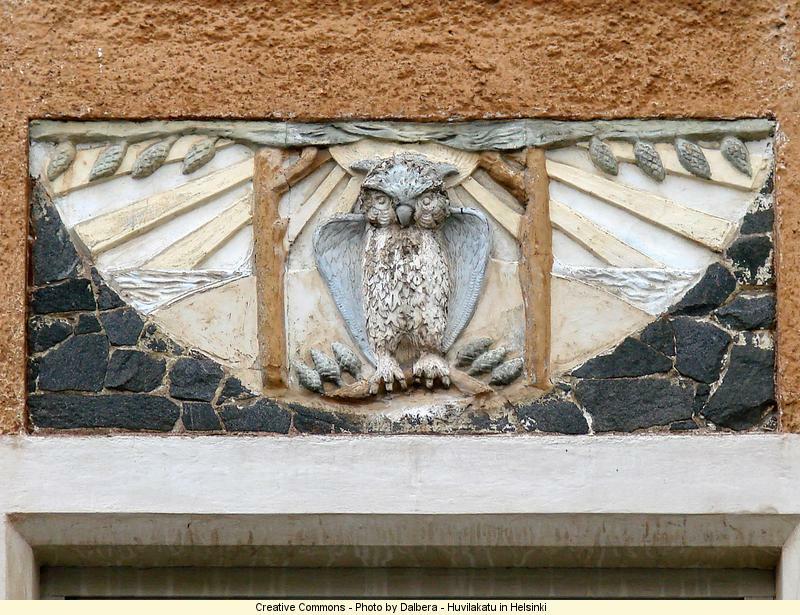 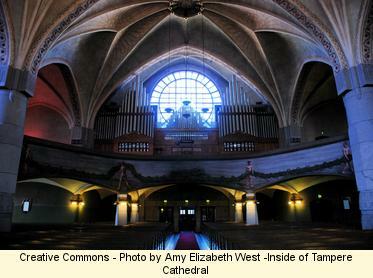 Nature is a source of inspiration for Art Nouveau artists (both plants and animals). 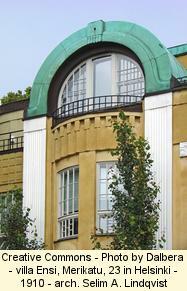 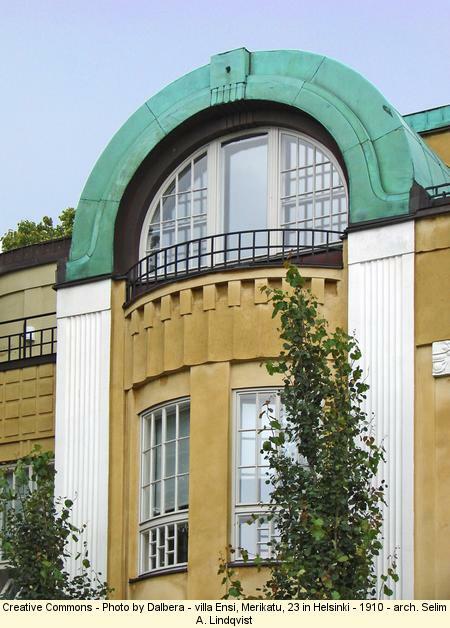 This late Art Nouveau/Jugend villa adopts more geometrical lines. 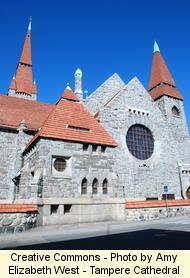 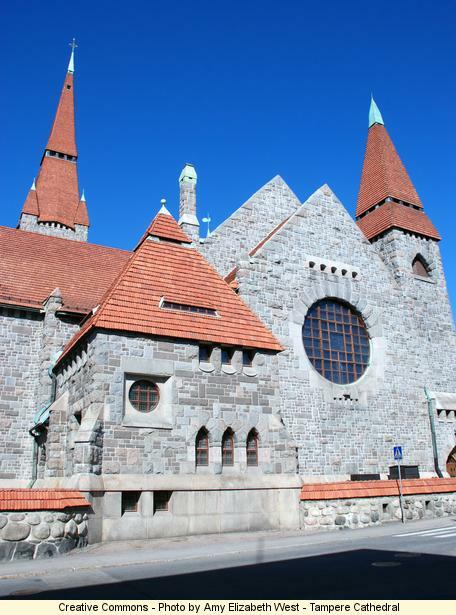 It was built by Selim A. Lindqvist in 1910.